Can Tho (VNA) – Prime Minister Nguyen Xuan Phuc and a Government delegation held a working session in Can Tho City on April 5 with leaders of cities and provinces in the Mekong Delta and the southeastern region with a focus on transport infrastructure, which is considered a bottleneck in regional development. 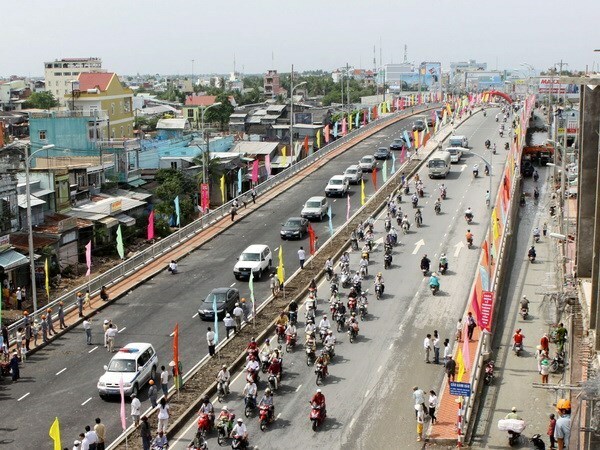 Transport Minister Nguyen Van The said transport infrastructure has been a weak point of the region for a long time. He urged the National Assembly and the Government to concentrate resources on removing this bottleneck by building highways, completing the network of national roads and inter-regional routes, and developing other means of transport such as waterway, aviation and railway.